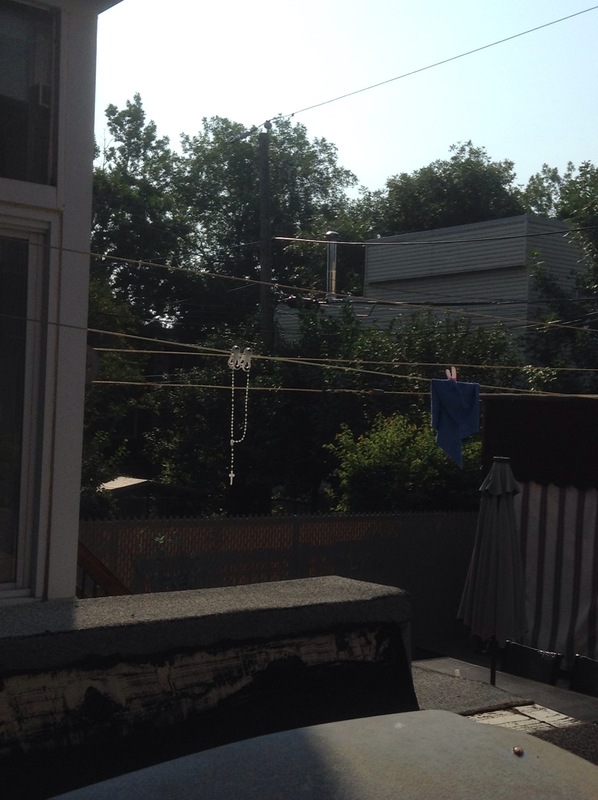 Why is the rosary hanging on the clothes line? 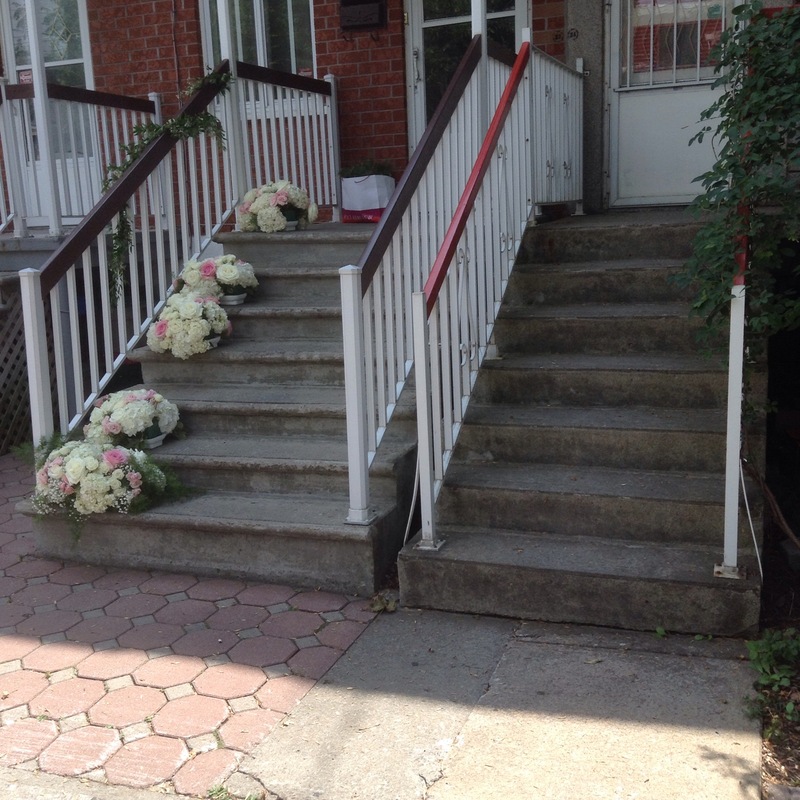 To guarantee good weather on the wedding day of my neighbour’s daughter. This is a very old French Canadian and Italian tradition. It seems the Poles have the same idea as I just found it mentioned on a website for the Wilnus polish community in Ontario. Yes, people still get married in a white dress in church. The New York Times had a recent article about how many churches in Quebec have been transformed for use other than worship. A particularly grand church right in my neighborhood is now a theatre. The Montreal church of St. Jude, patron of hopeless cases, is now ,somewhat ironically, transformed into an upscale gym!